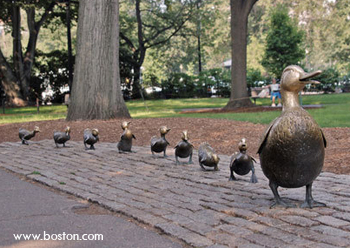 Preston visited the famous ducklings sculpture in Boston Public Garden. 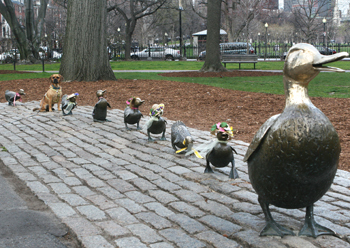 The sculpture was made as a tribute to Robert McCloskey’s children’s book “Make Way for Ducklings”. The eight ducklings’ names are Jack, Kack, Lack, Mack, Nack, Ouack, Pack, and Quack. Sadly, Pack the duckling was stolen. Before Pack finds his way back to his mommy, Preston would be happy to take his place. Preston made it to his new home in Cambridge! 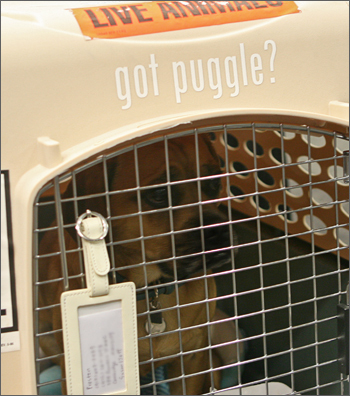 Mommy and Daddy put him on a red-eye flight so that he could sleep through the 5-hour flight. He woke up in the new city with a much happier face! 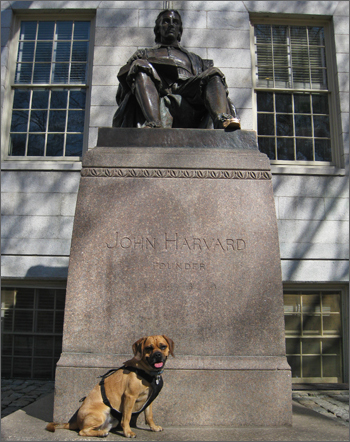 Preston couldn’t wait to visit Harvard University. 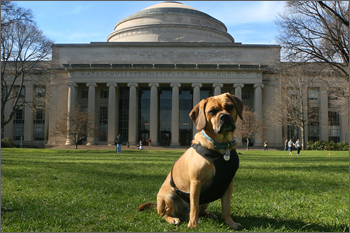 And Daddy’s alma mater, MIT! 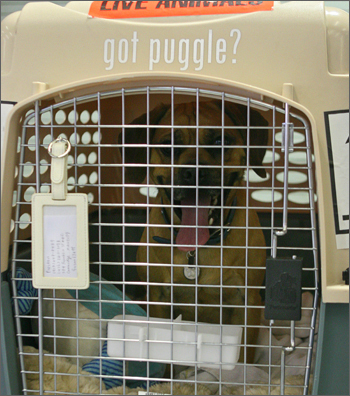 Preston and Mommy are moving to Cambridge, MA and reuniting with Daddy! Preston will miss his friends and favorite parks dearly. 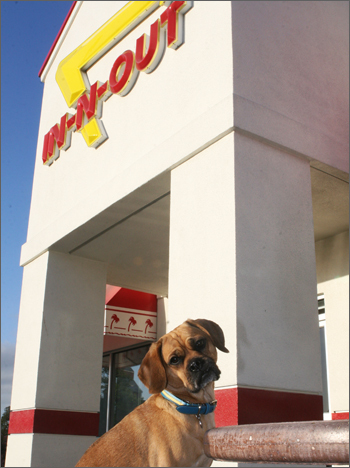 Before Preston left California, he wanted to visit IN-N-OUT burger one more time! Cheeseburger without onion is his favorite. 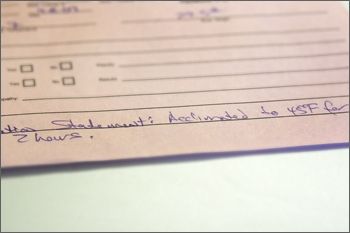 To get ready to fly across the country, Preston visited Dr. York again and obtained a health certificate. Since Boston is still chili this time of the year, Preston needs temperature acclimation statement from Dr. York. 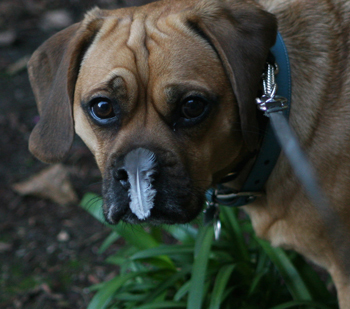 Preston has a beagle nose that often gets him in trouble.